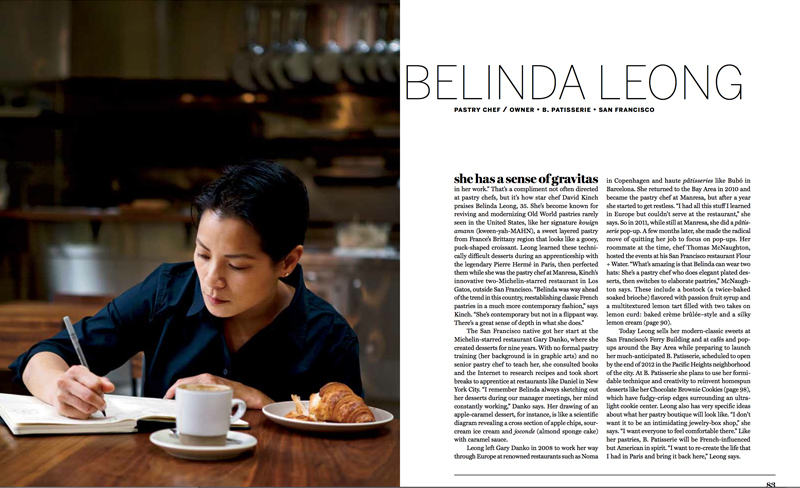 Last Fall, I had the privilege of photographing Belinda Leong, an accomplished and inventive pastry chef in San Francisco for Food & Wine's Greatest New Cooks Cookbook. The book is beautiful, profiling 10 up and coming chefs all over the country and sharing a few of their favorite recipes. 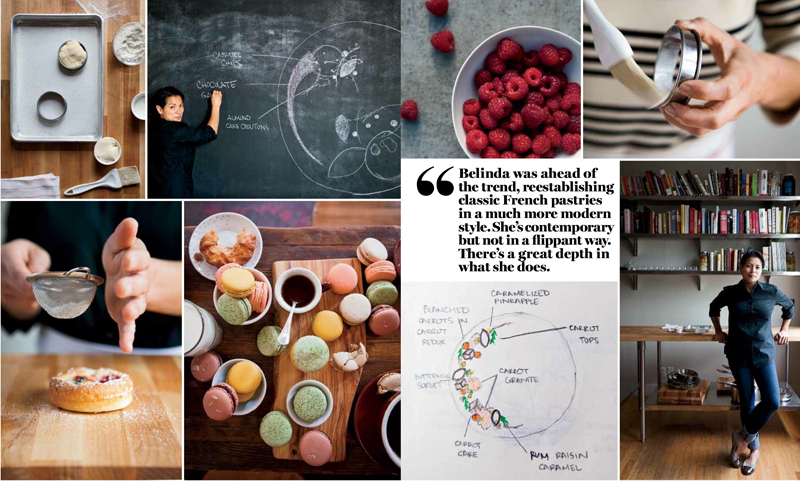 I am proud of these images because I believe they represent Belinda's whimsical yet disciplined approach to her craft, yes. But more intimately, because I made a mistake on the first round of shooting and after a week and a lot of back and forth with the art directors at Food & Wine, I hopped on another plane and did the shoot again. The second go Belinda and I had a way better report, our location was easier and the whole vibe was just more relaxed (and I was more disciplined, you can bet I wasn't getting on a plane a third time!). All's well that ends well. I'm so happy to be apart of this wonderful cookbook.